How to be a baseball coach. The 100 point checklist. Coaches want to know how to be a baseball coach. Well, folks do not wake up one morning and say, “Hey Martha, I’m going to coach a youth baseball team of 12 kids and I’m going to see how miserable I can make them so they will all end up quitting baseball and joining the soccer league. No, coaches really do not have the right background, training and knowledge to handle 12 kids properly. They were never shown how to do it. Here is a helpful checklist one could use when learning how to be a baseball coach. Here are the first 10 of 100 point checklist for baseball coaches. 1. 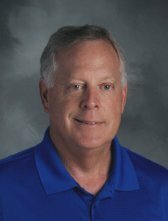 Knows the statistics that tell us that 75% of youth sports kids drop out by age 14. Why do so many ball players leave baseball after 12 years old? There are several reasons. I have my theory and what to do about helping keep more kids in the game. 2. Realizes that there is not a problem with trying to win—but never at the cost of developing athletes first. I am a player development baseball man. It is the only way I know how to coach baseball. Now, I love to win too. Every game players are expected to give everything they have to compete. Coaches, though very conscious of the competition, must have the 'Big Picture' in their view. My 'Big Picture' player development system goes into detail to help you incorporate the right approach to your organization. 3. Knows that coaching baseball is a privilege and with that comes responsibilities to treat kids respectfully. Baseball is a really hard game to play well. It looks pretty easy from the dugout and bleachers. Building a coaching approach to handle adversity is an advantage. More about building your baseball coaching approach and style. 4. Understands physical development and maturity levels in children’s growth stages. Organized baseball starts at about 4 or 5 years old with tee-ball. Then reaches all the way through age 18 with the end of high school baseball. That is a very wide range of ages, development and maturity levels. Top baseball coaches are aware of various age levels and the capabilities of kids at a particular age group. As you grow as a baseball coach it is an advantage to know various characteristics of different ages. 5. Creates situations so players will enjoy playing and have fun yourself and project that impression with your enthusiasm. There are several reasons baseball players sign up. None of those reasons are being miserable, bored and not getting better. Do you know how to make youth baseball playing so enjoyable that kids will want to sign up again next year? Here are plenty of ways to help baseball coaches and parents help make youth baseball a blast for your baseball players. 6. Is qualified to help kids improve their fundamentals and able to teach skill development. Baseball players sign-up and expect to learn the game and improve their skills. Check out these options to help you coach baseball players so they will get better. 7. Is a great example and model for the Game, your league, your players and your spectators. 8. Will clearly know the difference between the win-at-all costs approach and the player development system. You will know the difference after looking through my detailed instructions using my player development model system. 9. Can differentiate when it is time to coach and when not too. You can cause more harm than good if you don't understand when to coach and how much. There is a time and place. Over-coaching at the wrong times can hinder player development. Check out more detailed information on how much to coach and when to do it. 10. Is knowledgeable and helpful communicating with baseball parents. You should know the procedures and tips on how to deal successfully with baseball parents. If you prepare ahead of time you can usually keep situations from getting out of hand. How to be a baseball coach checklist is an invaluable tool to review over and over during the season. This was only 10 of 100 point checklist. 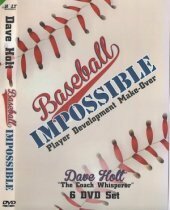 There are 90 more vital tips for coaches who want to know more about how to be a baseball coach. To see the complete list and have it for yourself go to the information page here.